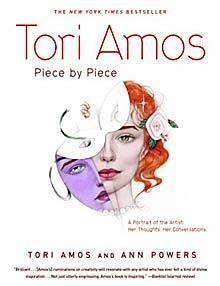 Reminder: A trade paperback version of the book Tori Amos: Piece by Piece came out on January 10, 2006 from Broadway Books (ISBN: 0-7679-1677-8)! You can see the cover to the book to the right. It is nearly the same as the hardcover edition released earlier, except it says "The New York Times Bestseller" on top of the cover and contains a booklist review excerpt at the bottom. You can see a listing for this book at randomhouse.com. You can order the trade paperback online now at Amazon.com.